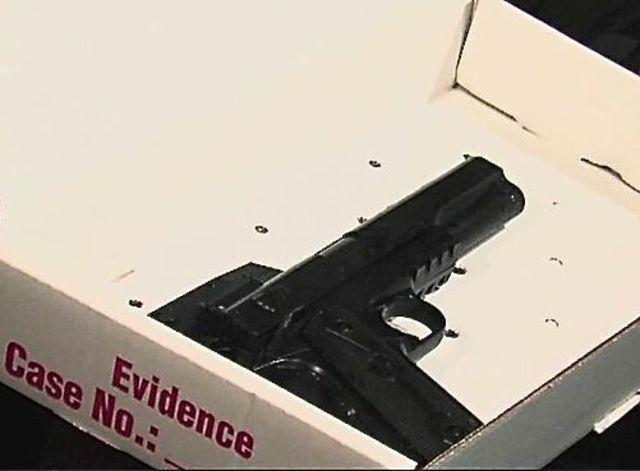 CLEVELAND, Ohio – The 12-year-old boy wielding what turned out to be a BB gun when he was shot by police outside a Cleveland recreation center, whose name has not been officially released, was shot in the stomach, He was taken to a nearby medical center in serious condition, EMS officials said. Throughout the night his condition deteriorated and he died. The caller twice said the gun was “probably fake” and told dispatchers the person pulling the gun from his waistband was “probably a juvenile,” according to audio released by police officials late that Saturday. 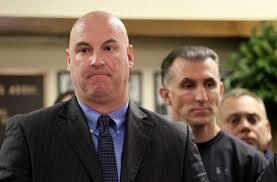 How could Cleveland Police Patrolmen’s Association President Jeff Follmer say “The shooting was in anyway justified.”? 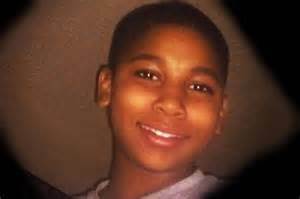 In a television interview Jeff Follmer, not only refers to Tamir Rice, the 12 year old boy tragically shot down by cowboy police as a “man,” but put in no uncertain terms that the shooting was 100% justified. He said this as the All In show’s video crew played a side-by-side of Follmer talking and the heartbreaking security cam video of Tamir Rice’s death. He (Jeff Follmer) go’s on to say, “”If you listen to us you wouldn’t be dead right now.” Remember folks — its easy! Just do everything we tell you exactly when we tell you and you wont be dead. By the way, you have 3 seconds before your life is over. No pressure! The officer fired twice at the boy, hitting him in the stomach at least once. The department’s Use of Deadly Force Investigation Team is investigating the shooting. This Sadistic Pathetic Cowboy (Follmer) has the audacity to call a dead youth’s murder justified. This is why, we see harm with the relationship between law enforcement and the communities they are sworn to protect, sowing suspicion where trust is urgently needed. False sentiment and absolute ignorance will continue to have an impact in targeted communities. The results can be catastrophic for all ,This must stop! This entry was posted in blackwallstreet, Civil Rights, Gregg Greer, greggrreer, Human Rights, Leadership, Leadership, One World, oneworld, oneworld01, SCLC, Uncategorized, Urban Christian Leadership, Violence and tagged Civil and political rights, Civil rights movement, Gregg L Greer, Jeff Follmer, Martin Luther King, oneworld, oneworld01, sclc, sclc.org, Southern Christian Leadership Conference, Southern Poverty Law Center. Follmer’s comments exposes the animalistic tendencies of the police when dealing with people of color. I will not invest any time making disclaimers by uttering the normal excuses such, “they had to make a split-second decision” or “most police are fair-minded public citizens.” Instead I will simply say, “Guilty by association.” Until the rank and file police officers and the police unions speak out against their fellow police bullies who murder, beat their wives, steal and deal drugs, there will be no respect in the eyes of their civilian bosses who pay their salaries and they are sworn to protect. We never hear police unions speak out against obvious homicides and other law-breaking by their members. No matter the evidence, video with sound included, they always side with their police members. They demand respect without offering any, therefore they deserve none. We must hold them accountable and stop making or accepting excuses just as we do with any other citizen. These heinous acts deserve no protection under civil law. How can America go to war to protect freedoms of oppressed people around the world when we lack freedom and protection from over-zealous law enforcement here in America?